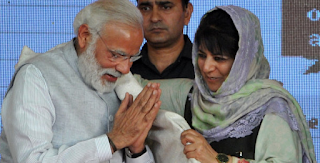 Jammu and Kashmir Chief Minister Mehbooba Mufti on 19th June 2018 submitted her resignation to Governor NN Vohra, after the BJP announced it was leaving the alliance with her Peoples Democratic Party(PDP). 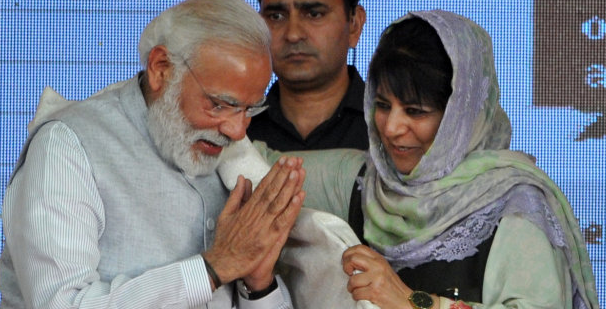 The BJP's decision to end the coalition leaves Mufti with just 28 out of Jammu and Kashmir's 87 elected seats. The reason for the pullout was failure to control the situation in the state and meet its promises. BJP's General Secretary Ram Madhav also called for Governor's rule in Jammu & Kashmir.